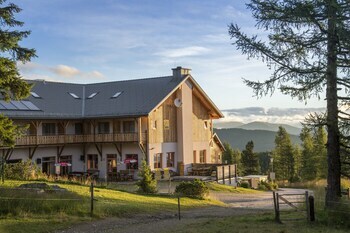 With a stay at JUFA Hotel Nockberge in Albeck, you'll be in the mountains, and 6.4 mi (10.4 km) from Nockberge Biosphere Park and 6.5 mi (10.5 km) from Nockberge Biosphere Reserve. Featured amenities include multilingual staff, luggage storage, and an elevator (lift). Planning an event in Albeck? This hotel has facilities measuring 1001 square feet (93 square meters), including a meeting room. Located in Soelden, Sonnenhang is in the mountains, a 5-minute drive from Gaislachkogl Gondola and 7 minutes from Freizeit Arena. Free self parking is available onsite. With a stay at W & S Executive Apartments - Hallstatt I in Hallstatt, you'll be within a 5-minute walk of Hallstatt Lake and Hallstatt Salt Mines. Free self parking is available onsite.